As a soon to be graduate we decided earlier this year that it was time to get her self branding in place for all the networking and resumes she would be sending out and thank you notes she would be writing after interviews. 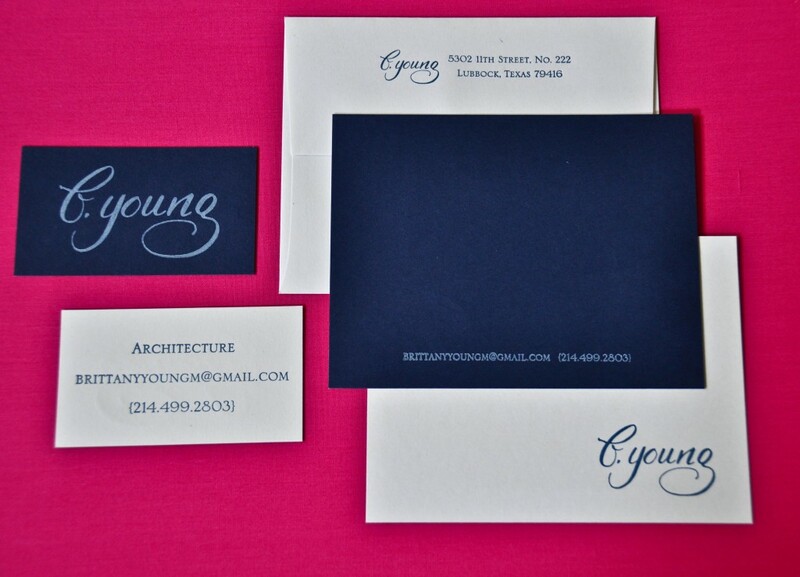 Since she has been signing her work as b.young, we decided to use that as her own personal logo. And since she is an Architect, we also wanted to keep the lettering on the crisp and clean side rather than uber flowy and pretty… but still reflect her aesthetics. 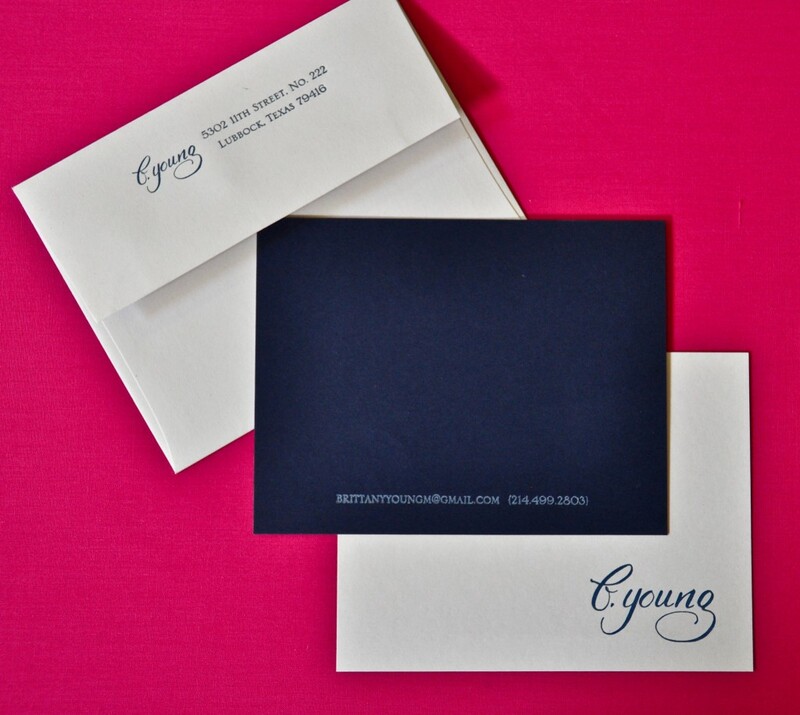 For both her calling cards and her personal stationery, I duplexed the sheets for added weight and color in a very masculine navy and light grey color combo. 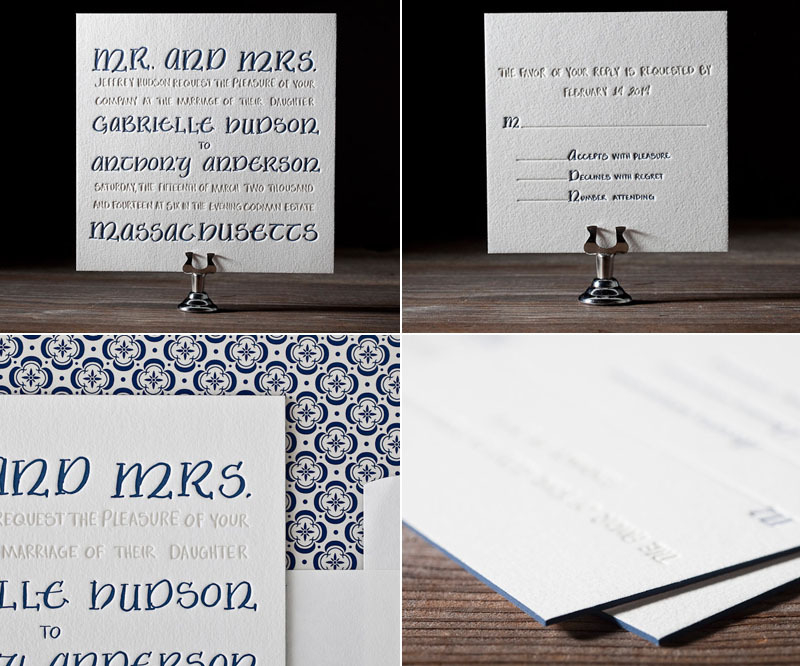 They were then letterpressed using the grey and navy colors. The look turned out to be clean and not over worked – very matter of fact. 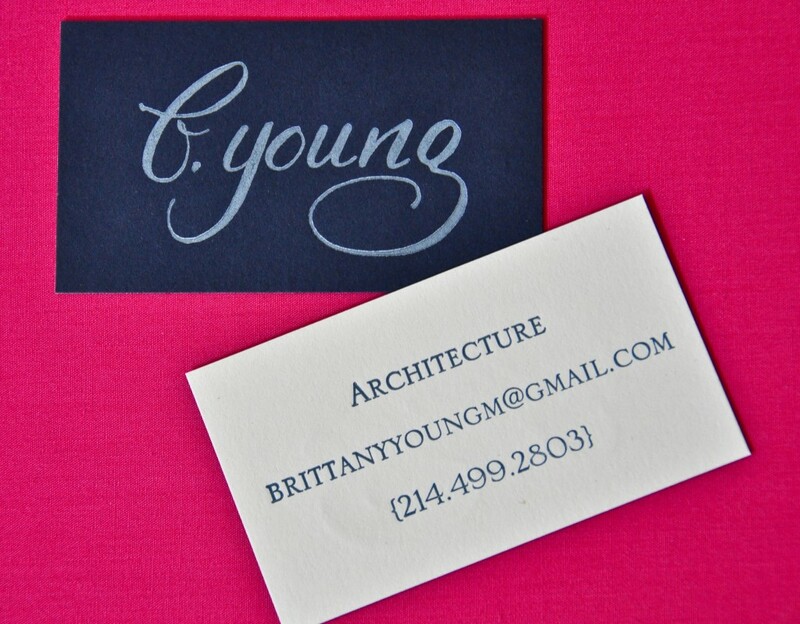 Congratulations Brittany on your graduation and very memorable personal stationery. I know it will bring you tons of success while hunting for your first job! It is cold and rainy here (which I love personally), but I was thinking about my spring events coming up and thought I would finally sit down and share this wonderful event with you! 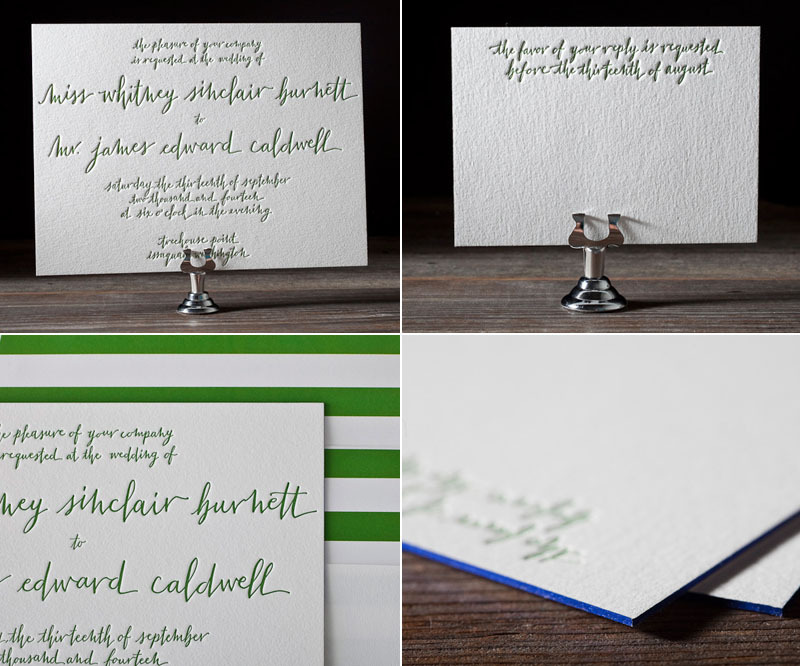 It was such a joy to work with Heidi of Zenadia Design on the calligraphy for the envelopes, menu, place cards, table numbers, and event signs for this beautiful San Ysidro Ranch Birthday party! 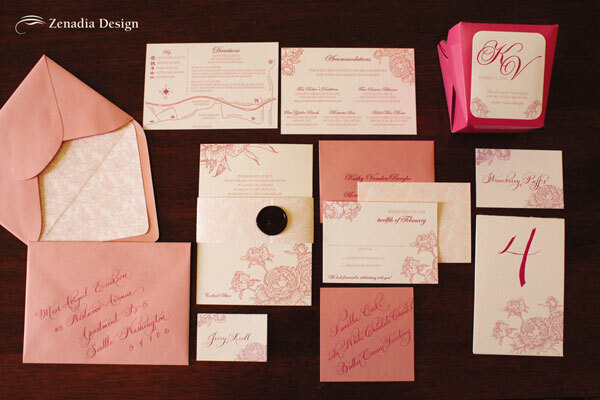 Everything was letter pressed and had a pink peony theme. I addressed the invitations on an angle in the Talia script and a darker pink ink. The result was stunning. Kacie Jean Photography provided the rest of the images from the event. I could not be more thankful for receiving them! 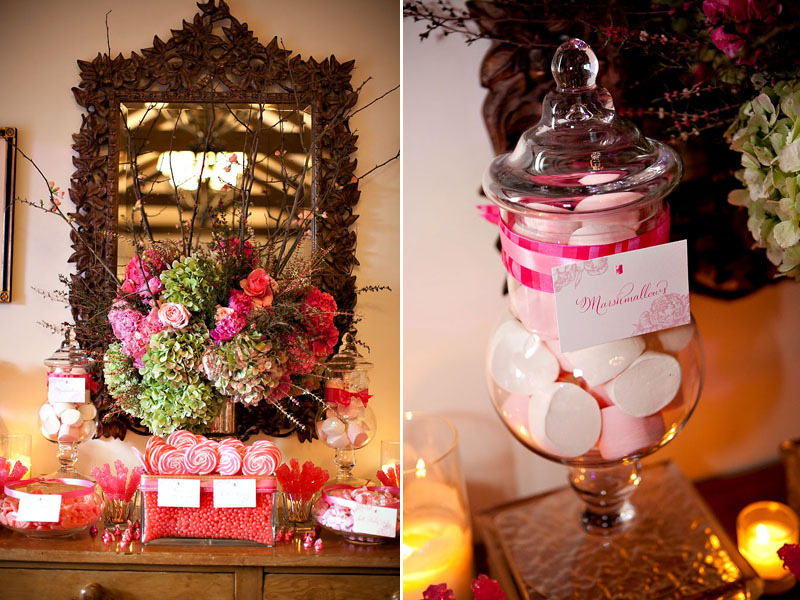 This is the gorgeous centerpieces (and table numbers) as well as a shot of the room during dinner. Love it! 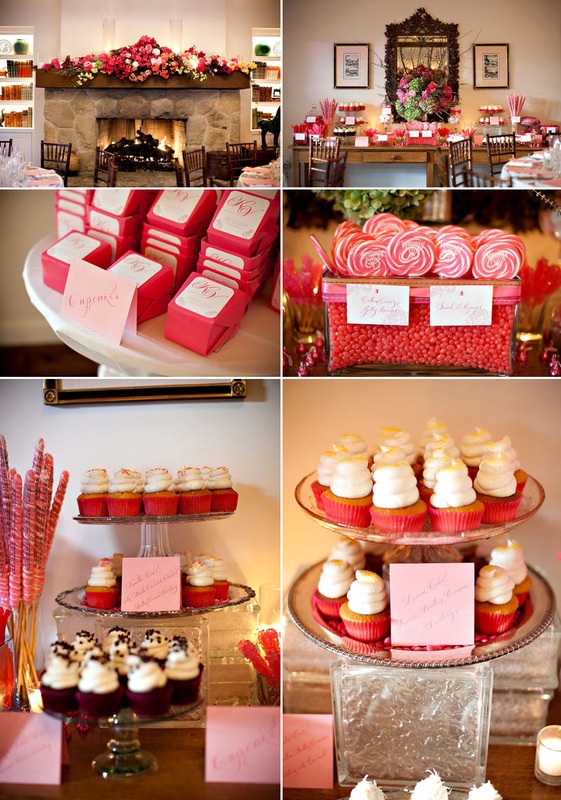 Here you can see the menu and wine menu sign – lovely in pink! 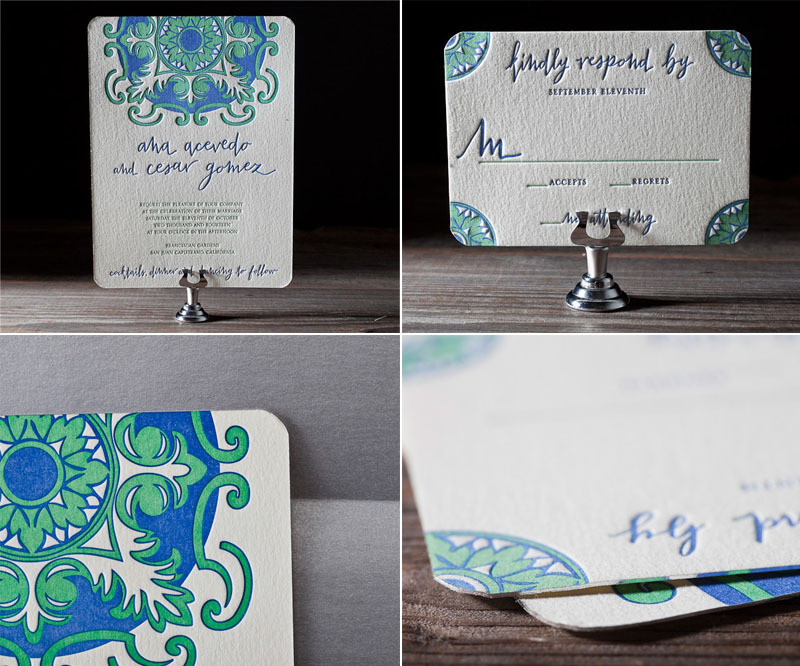 You may have also seen this on Oh So Beautiful Paper back in July (yes, I am that far behind on sharing) – Thanks Nole for sharing our work!